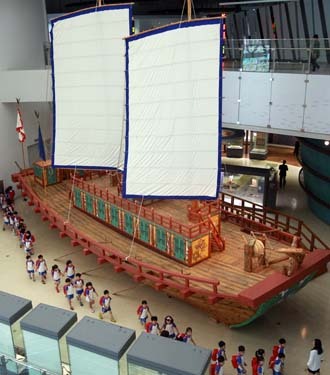 The National Maritime Museum of Korea is located in Busan and is the third largest museum in Korea. The exhibits pertain to subjects like culture, history, famous figures in the Korean maritime industry, vessels, ocean life, the maritime industry, ocean sciences, and wide array of other related topics. The museum houses over 14,000 historic items and relics of significance to the maritime industry, a library, aquarium, grand auditorium, outdoor performance stage, and a 4D theatre offering a multi-cultural experience to visitors.